Most people like to think that they are inventors. Some of them like to dream about creating or inventing the next product that will solve a problem. Quite a number of people study Science because they want to change the world with a new discovery. Nikola Tesla wanted to improve the quality of life for mankind, so he invented. This book is for the beginner who would like to invent something that will solve a specific problem. The book is also simple for any non scientific person to understand, if this person wants to test the inventing waters. 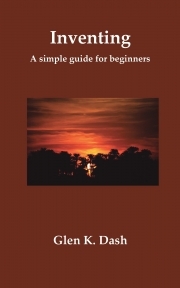 The book also offers references to many websites where a beginner can visit for further information about the process of inventing. List of open innovation companies. Copyright permission given inside to make photocopies. Please view this before making copies. I have taught High School Mathematics and Physics for the past twenty two years. I also taught part time SAT Mathematics for the last four years. In 2012 I became interested in inventing. Two of my designs are currently going through the process. In future I will explain their successes in another book. Because of my background in Physics, I was able to see the technical side of inventing. I currently have designs that can be built into a module that will dramatically increase the range of any Electric Vehicle. From Physics, I know that the principles are sound. These are basic principles that the Industry has overlooked and their research is currently going in another direction. In future I will develop my concept and I plan to have a working prototype to show the Electric Vehicle Industry. Also, I have designs that will be valuable to the Space Industry and the Military Industry. Sometime in future I would like to develop these for the benefit of these two Industries.